In the 40-year history of Canada’s National Midget Championship, not many players have had the chance to make a return trip to the tournament. Rod Brind’Amour not only played twice, he reached a pair of gold medal games, winning the national title with Notre Dame in 1986 before settling for silver with the Hounds the following year, losing to Richelieu in the final. Brind’Amour stayed at Notre Dame for the 1987-88 season but made the jump to Junior A, helping the Hounds win the Centennial Cup, earning MVP and Top Scorer honours at the national championship. The ninth-overall selection by St. Louis in the 1988 NHL Entry Draft, Brind’Amour played one season of NCAA hockey at Michigan State before joining the Blues for their 1989 playoff run, scoring his first NHL goal on his first shot. 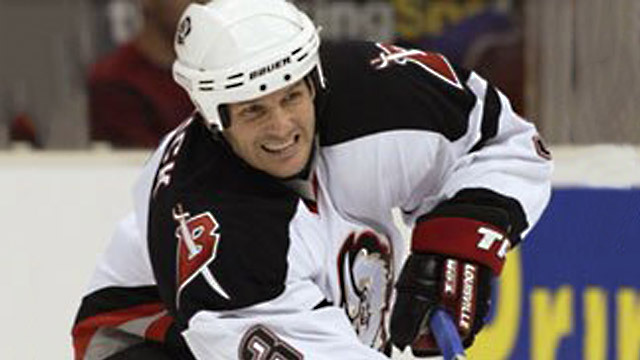 Traded to Philadelphia prior to the 1991-92 season, Brind’Amour would spend nine-and-a-half seasons as a Flyer before joining Carolina via trade in January 2000. 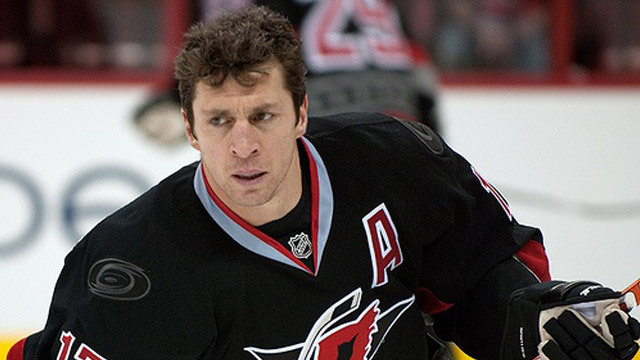 It was with the Hurricanes Brind’Amour would find his greatest individual success, twice winning the Frank J. Selke Trophy as the NHL’s top defensive forward, and his greatest team success, captaining the Hurricanes to the Stanley Cup in 2006. After his retirement following the 2009-10 season, Brind’Amour’s No. 17 was retired by the Hurricanes in February 2011. 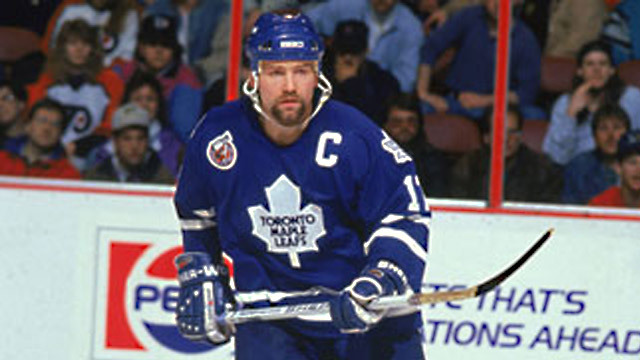 Yet another 1980s Notre Dame alumnus on the top 40 list, Wendel Clark patrolled the blue-line for the 1982 Hounds, who finished fifth at the Air Canada Cup in Victoria, B.C., falling in the quarter-finals to the Cape Breton Colonels. Clark played two seasons with the WHL’s Saskatoon Blades, including a gold medal for Canada at the 1985 IIHF World Junior Championship, and was the No. 1 pick by Toronto, as a defenceman, in the 1985 NHL Entry Draft. Moved to forward before his rookie season, Clark finished second in Calder Trophy voting and by 1991 was captain of the Maple Leafs and one of the most beloved players in franchise history. After back-to-back conference final appearances with Toronto in 1993 and 1994, Clark was traded to Quebec in the summer of 1994 as part of a six-player deal that included future Hall of Famer Mats Sundin, but lasted only the lockout-shortened 1994-95 season with the Nordiques before a trade to the New York Islanders. He played just 58 games on Long Island before returning to Toronto, where he spent parts of three seasons. After 68 games with Tampa Bay and quick stops in Detroit and Chicago, Clark returned to the Maple Leafs for the third and final time in January 2000 for his final 20 NHL games. Count James Patrick among the few players to play in back-to-back National Midget Championships with different teams – the defenceman appeared at the 1979 tournament with the St. James Canadians before returning one year later as a member of the Notre Dame Hounds. It was Patrick’s second trip that was more memorable; he was named Top Defenceman and helped the Hounds to their first gold medal. The year after his Air Canada Cup championship, Patrick made the move to Junior A hockey and played a major role in another national title, taking home MVP honours from the Centennial Cup as his Prince Albert Raiders won the National Junior A Championship. He made it three titles in as many years when the University of North Dakota won the NCAA championship in 1982, the same year he helped Canada to its first-ever gold medal at the IIHF World Junior Championship. Taken ninth overall by the New York Rangers in the 1981 NHL Entry Draft, Patrick started the 1983-84 season with Canada’s National Men’s Team, taking part in the 1984 Olympic Winter Games, before making his NHL debut with the Rangers. He played parts of 11 seasons in New York before being traded twice in the 1993-94 campaign, first to Hartford and then to Calgary. After four seasons with the Flames he finished his career in Buffalo, and works today as an assistant coach with the Sabres. The 2006 TELUS Cup will be remembered for two things: the debut of Jordan Eberle on the national stage, and the longest game in National Midget Championship history – Calgary vs. Prince Albert for the gold medal. Eberle, named the tournament’s most sportsmanlike player, scored with 7:26 to go to bring his Calgary Buffaloes within a goal and set up Mike Connolly for the tying marker less than four minutes later, but it would be the Prince Albert Mintos leaving Charlottetown, P.E.I., as national champions thanks to a triple-overtime victory. While Eberle had a successful junior career with the WHL’s Regina Pats, winning WHL and CHL Player of the Year awards in his final season, it was at the IIHF World Junior Championship where he made a name for himself, scoring some of the most memorable goals in Canadian hockey history, including the tying goal in the dying seconds of the 2009 semifinal against Russia, helping keep Canada’s gold medal streak alive, and two in the final minutes of the 2010 gold medal game, single-handedly forcing overtime. 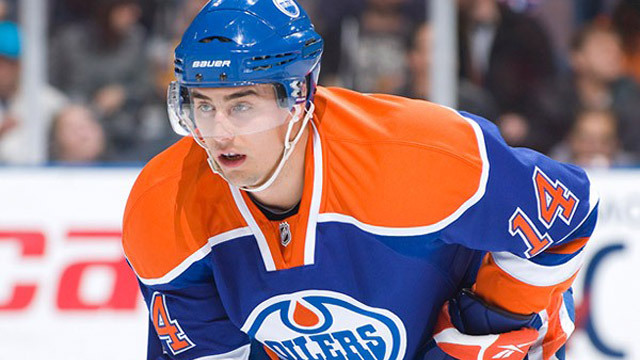 Selected by Edmonton in the first round of the 2008 NHL Entry Draft, Eberle debuted for the Oilers in 2010. He led the team in scoring in his rookie season before a breakout 2011-12 campaign saw him lead the Oilers in goals, assists and points, make his first trip to the NHL All-Star Game and finish second in voting for the Lady Byng Trophy. As a 15-year-old goaltender, Ron Hextall led his hometown Brandon, Man., team into the 1980 Air Canada Cup in Cornwall, Ont. The Brandon entry settled for a ninth-place finish, completing the preliminary round with a 1-4 record in the DC8 Flight. 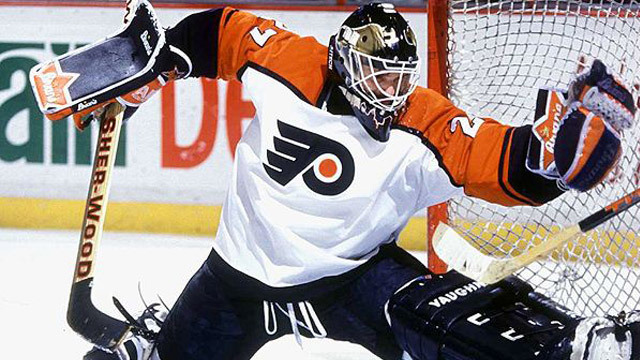 A sixth-round pick (119th overall) of Philadelphia in the 1982 NHL Entry Draft, Hextall burst onto the NHL scene four years later, winning the Vezina Trophy, earning spots on the NHL All-Rookie Team and First All-Star Team and leading the Flyers to Game 7 of the Stanley Cup Final. Despite coming up short against the Oilers, Hextall was awarded the Conn Smythe Trophy as playoff MVP, just the fourth player from a losing team to win the award. He put his name in the record book in December 1987 when he became the first goaltender in NHL history to shoot and score a goal, a feat he duplicated in the 1989 playoffs. After six seasons with the Flyers, Hextall was traded to Quebec in 1992 as part of the massive package for Eric Lindros. He spent one season with the Nordiques and one with the Islanders before returning to Philadelphia. He played his last five seasons with the Flyers, helping them reach the Stanley Cup Final again in 1997, although they lost to Detroit in four games.